Over the past year, President Donald Trump has made multiple foreign policy decisions, including levying sanctions against certain nations. One of them happens to be the small, oil-producing nation of Venezuela. In response to the country’s rising autocracy, the Trump signed an executive order to prohibit the trading of any bonds. This would make it more difficult for the nation to refinance its debt. During the last couple of years, Venezuela has become a victim to economic downturn and political turmoil. 90% of their economy was based off of oil and so, in 2014, when oil prices fell significantly, they took a major hit. Following this were a series of irresponsible government actions such as the expropriation of business and overspending which led to massive inflation within the country. The government also started taking steps that have tread the country towards a dictatorship, such as nullifying the legislative assembly, or trampling on civil liberties entirely. The only way for Venezuela to refinance their debt would be through their bonds and so cutting off these financial channels have a huge impact on the country. While the government denies any wrongdoing, and accuses the US of engaging in “economic warfare”, the Trump administration maintains that this is simply to curb the rising authoritarian regime. The country right now has spiraled into chaos with citizens protesting everyday against the government. In addition, there have been major food shortages with basic resources becoming scarce. The recent crisis has even sent many residents to flee the country looking to escape the social tensions. 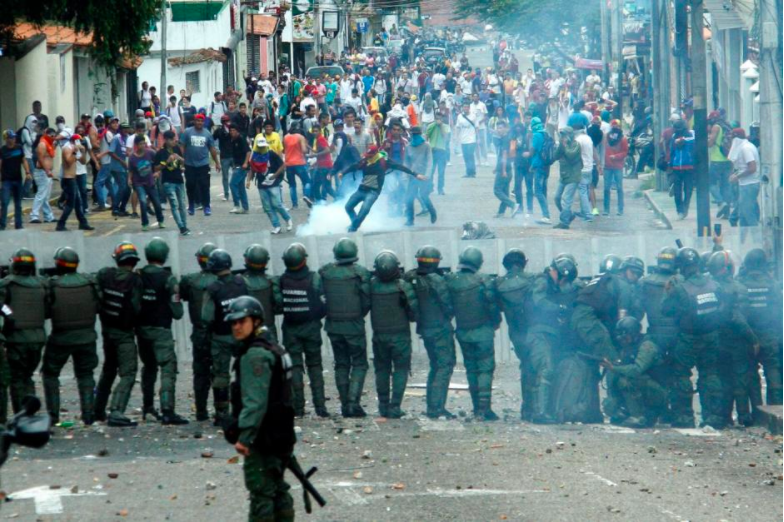 Venezuela has also been condemned internationally for its human rights abuses. These sanctions against Venezuela are a prime example of how the US plans on approaching human rights violations and corruption going forward. Just this year, the United States has imposed sanctions on numerous other nations for not complying with them, most notably, North Korea. These range from visa sanctions all the way to economic sanctions. They have also sanctioned individuals, including notable high-profile members in the Russian government. There are usually two possible outcomes from sanctions, either the entire country crumbles and all that is left is a power vacuum, or it solidifies the totalitarian regime. Either way, it is the civilians who bear the brunt of these sanctions. Currently, the government in Venezuela is trying to adapt to the new sanctions by releasing a cryptocurrency backed by their oil. Now, all we can do is wait and see how the US will react to Venezuela’s new economic plans. Ritvik Singh is a grade 11 student at the Academy for Gifted Children – P.A.C.E. His interests primarily lie in mathematics, economics, and computers. He is also an academic coordinator at FUSE Society and a member of his school’s robotics team.